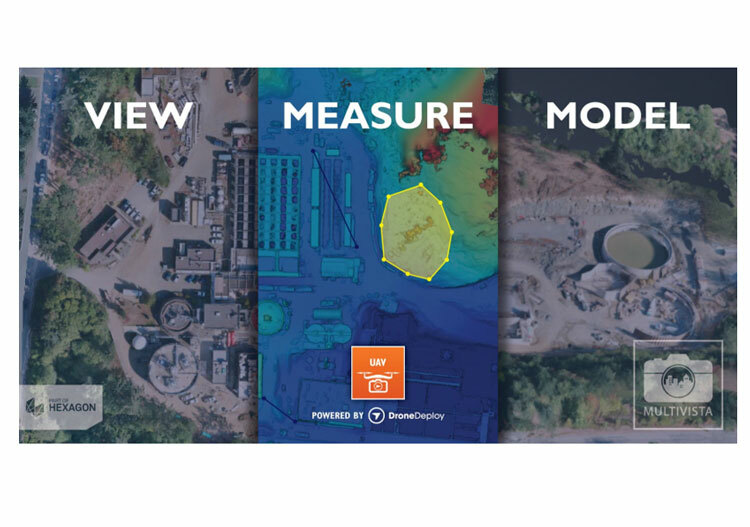 Phoenix — Multivista, part of Hexagon, announced a partnership with DroneDeploy, a cloud software platform for commercial drones, to expand project management capabilities for the construction industry. Through a platform integration, Multivista users now have access to an array of Unmanned Aerial Vehicle (UAV) resources, each powered by DroneDeploy. From the Multivista platform, customers can access Multivista-captured orthomosaic maps of their project sites. With an included set of web-based tools, users can annotate these high-definition aerial maps to determine distance, area, volume, elevation and more. Users also have the option to export detailed progress reports, along with a wide range of 2D and 3D file formats, for use in a variety of project workflows or advanced modeling applications.